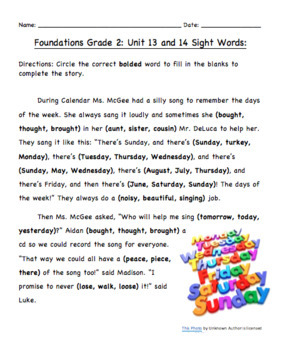 Students are provided a story that highlights unit one and two's sight words. The students are prompted to read the story and select the correct sight word from three choices as they read. An example of a sentence could look like this: "The boy wanted to (go, with, the) outside to play." In this sentence the student would select go as the correct answer.